Not just a recoil increase, also a muzzle velocity decrease. Semi-auto rifles in BF5 have higher muzzle velocity than scout rifles and so do LMG's, which is also a much overlooked big contributing factor why those weapons are easier to land hits with than scout rifles at long range. It's absolutely nuts that scout weapons do not have the highest muzzle velocity of all weapon classes when they are supposed to be specifically designed for being the easiest weapon to land hits with at long range. Prpbably is a game balancing thing that we don´t have hitscan sniper weapons, that some would prefer. Probably is a better idea to nerf bullet velocity of other weapons. Exaggerate much? Who said anything about hitscan scout rifles? They just have to be fastest bullets for obvious reasons, that doesn't mean lightspeed bullets. Correct, nerf them they are the best guns in the game by far and take no skill to use. But frankly almost no weapon in this game has proper recoil, the semi's just have the highest damage so they kill the fastest and easiest, especially at range. no they dont need any more recoil than they allready have. they will not be competitive against autofireweapons and midrangesnipers whith more recoil. snipers have got their massivly op weapons that makes them competitive to assaults. supports have got extremly accurate lmgs. medics have got unlimited selfheal and smoke. there is no need to make assaults less competitive. i can kill with every class and i am an average player so if you ask for an assault nerf, you are simply a bad player. but this is no reason for nerfing anything. Give 'em spread increase per shot. Problem solved (mostly). i dont think Dice will ever nerf Action Mans boom-stick so that it will be in par whit any of the side kicks guns A,D,A,D spam is skill and so hard to get right so its deserved to be able to kill all whit it (sarkasm). and add recoil to Boom-sticks not gone happen. 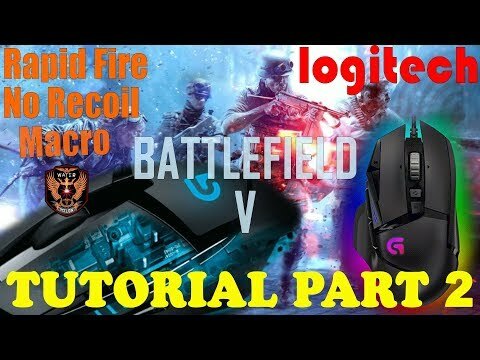 do you know how hard it is to make a macro whit auto fire and recoil compensation in one button push on your mouse the average gamer whit script know how? they will do that in 10mins tops. bullet drop? hey point shoot win is the way of action man. even mmg have bullet drop but semis have hilarious bullet drop. Notice how most semi-autos have no horizontal random recoil what so ever so, this is perfect for no-recoil scripts. Only rifle I've seen people using macros with is the m1a1. I personally think a lot of the OPness of the semi-autos people complain about is the result of how 3x scopes currently handle with them. Breath deviation should be increased with 3x attachment so that breath holding becomes required to use them effectively at long range. In fact I think they should do this for 3x on support weapons too even tho bipods would limit the nerf impact there. I also think it makes sense to add more bullet drop to LMGs ARs and semis, because it doesn't make sense for them to have less drop then a BA. I dont understand. Why even use macro's with the m1a1, the thing has almost no recoil as is. Correct me if I'm wrong, but isn't this against the terms of service? Also it's just lazy as the semi-autos already have super controlable recoil. On the other hand it makes the semi-autos much easier to use than in previous titles. However this game is basically a heaven for anyone that thinks mouse control is the only valuable skill in FPS games or that uses macros in any shape of form. Removed horizontal recoil for some weapons, recoil patterns, irrelevant spread mechanics just incentivize this sort of thing. Cheating is not an issue, the use of performance enhancing macros is a much more relevant topic to discuss. Must be a PC thing, because on console they're not hugely widespread and I actually have a bit of trouble with the first shot multiplier and moving targets. My 2nd shot always goes way off. But I have noticed that in the hands of players clearly using MNK on console they're pretty godly. It’s the same on pc. They are not op, and in fact more players use sniper rifles with iron sights. The majority is full auto. Full auto is way worse though, and BA rifles need a God like Stodeh to be viable. Assualt is ultimately the most noob friendly class, and semi autos play into this. Add a PIAT and Frag launcher (and aim in front of feet now with it), and you have it so easy. This is why I tend to play Assualt with an AR, Panzerfaust and dynamite, becuase I actually like trying (also M1A1 is just an AR stuck in semi auto). And tbh i also wanna see all sights / scopes removed except for sniper rifles. No word on TOS.... but they are mute on the subject so they might as well be giving the green light IMHO. Running into guys using the assault DMR's minus the macros is hard nuff.. when they have near full auto and no recoil to boot you might as well start looking for another server.